Professor Jack Jakimowicz will be bidding farewell to the IDE faculty in November, where he has been professor of Safety in Healthcare since 2007. His association with TU Delft goes back much further, however. In the 1990s, he already worked with engineers and researchers on improving the instruments and safety of minimally invasive surgery as a surgeon at the Catharina Hospital in Eindhoven. In 1990, Jack Jakimowicz was the first surgeon in the Netherlands to remove a gallbladder by means of so-called keyhole surgery: instead of having to make an incision about 15 centimetres long, only three or four small cuts were needed. These laparoscopic procedures – keyhole surgery in the abdominal cavity – have a number of advantages: smaller scars and quicker, less painful recovery. Add to that the economic benefit of shorter hospital stays and it’s not surprising that laparoscopy and other forms of minimally invasive surgery have become standard practice in many procedures. Jakimowicz was already working with flexible endoscopes, instruments for internal examination through existing orifices, in the 1970s and 1980s. ‘That probably made it easier for me to switch to image-driven surgery,’ he says. For many, the new technique was a major change, however: now surgeons had to control their instruments remotely, as it were, through a tube and closely follow what’s happening on a screen. 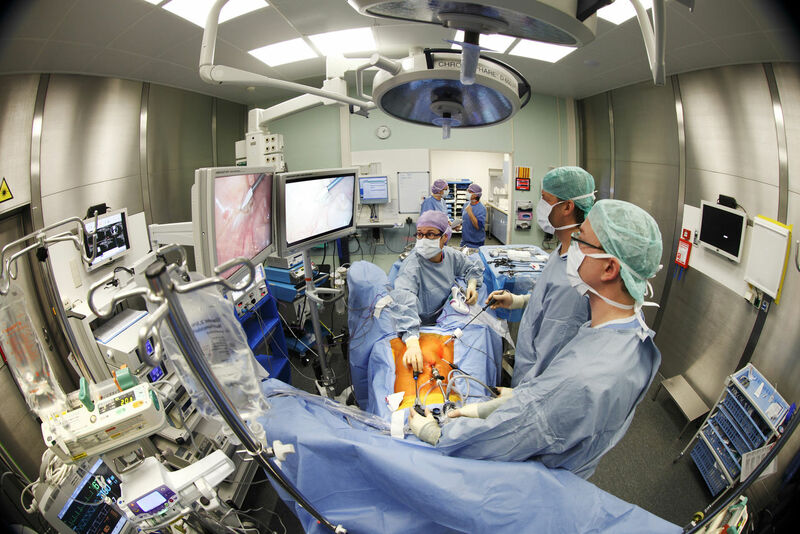 More technology in the operating theatre also increased the need for technical expertise. This is what gave rise to the close relationship between TU Delft and the Catharina Hospital. ‘Students and PhD candidates entered the operating theatre to observe how surgeons carried out their work. By completely immersing themselves in that, they saw exactly what could be improved,’ according to Jakimowicz. In the pioneering days of keyhole surgery that essentially meant the development of instruments. ‘Surgeons need instruments that fit well in their hands and that function as simply and efficiently as possible.’ Recently, one of Jakimowicz’s PhD students developed a vacuum grasper that substantially reduces damage to tissue and organs. Gradually more attention has been devoted to training methods, improving ergonomic aspects and patient safety. ‘In recent decades, there has been a growing awareness that the use of technology in surgery has made it a kind of production process. What many people don’t realise is that the care sector is the world’s largest industry,’ Jakimowicz explains. An industry that is increasingly moving towards so-called high reliability organisations such as aviation, nuclear plants and drilling platforms, where processes are standardised and the culture of safety plays a key role.